SN Screw Pump Main Feature: (three screw pump or three spindle pump), It is in same design, size and specification with Allweiler SN three screw pump. Sub models: SNH, SNF and SNS three screw pump, all similar to Allweiler pump. foot-,flange-or wall mounting, in pedestal-,bracket-or submersible design. According to the delivery medium heated or cooled designs are also available. For the handling of oil and medium with lubricating pvoperties. 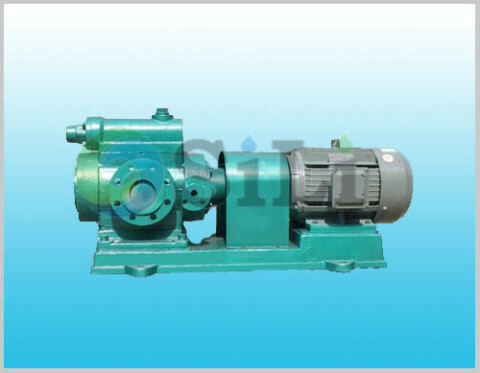 SN screw pump is a kind three screw pump or spindle marine pump, for Lube oil transfer, lubrication oil supply, cargo oil pump in marine industry. 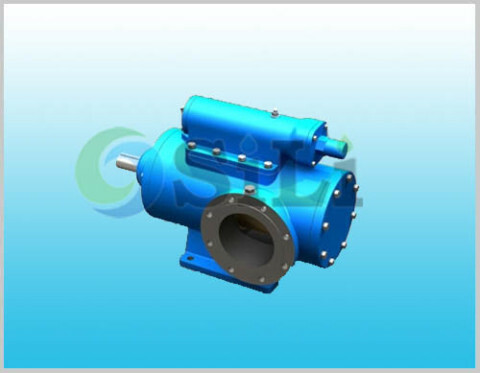 The three spindle screw pump is a positive displacement rotary pump. Inside the pump casing, as the flanks of teeth of drive screw and idler screws are engaged and the screws are also matched with the three inset holes, several sealed moving chambers are thereby formed in between the pump inlet and outlet end.These closed chambers will take the medium inside to move from the inlet end axially and let flow pressurized progressively, to have a continuous, constant ,axial flow pressured liquid. The three spindle screw pumps are suitable for pumping various kinds of non-corrosive oil without contents of solid grains and liquids similar to lubricating oils, The viscosity of mediums to be conveyed range from 1.2 to 100°E(3.0 to 760 cst) ,liquid with a higher viscosity could also be pumped after heating up (lowering down the viscosity). The flow range is 0.2~590m3/h, and the maximum working pressure is 100 bar, The highest temperature is 150C. 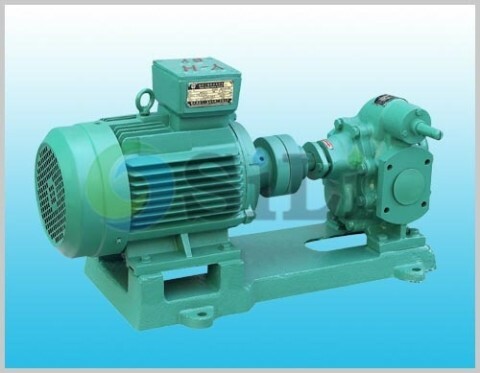 Application: Sub models: SNH, SNF and SNS three screw pump, all similar to Allweiler pump. In heating techniqzzues as fuel oil and medium with lubricating pvoperties. In the engineering industry as hydraulic-,and telemotor pumps. In the chemical and food industry ascargo-,transfer or supply pumps. In the marine field as transfer-,booster-,fuel oil pumps as well for ship hydraulics. This SN screw pump is in same design, specification and size with Allweiler SN screw pump. The SN three spindle pump spare parts is also available in our sides. Since this pump is produced in China, the price is much competitive than the Origin. Refer to more details from the SN screw pump catalogue. The pump spares are also available in our sides. Standard pump supply range: including pump, coupling and coupling guard, common base, motor and standard accessories. Production time: usually in 40 to 55 days. Usage or application: This pump can be use for Fuel oil and Lub. oil transfer and supply.